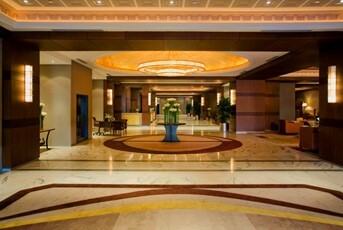 Friendly smiles and a warm welcome await you at Sheraton Istanbul Maslak Hotel. Situated in the new business district, you’ll enjoy a great combination of work, refreshment, and relaxation. 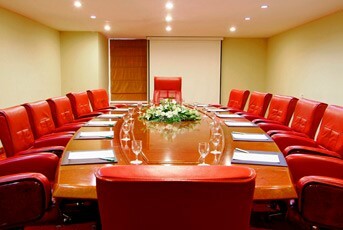 Our hotel is surrounded by multinational corporate office buildings and the leading bank headquarters. We are only 10 kilometers from the city center, five kilometers from the Bosphorus, and 30 kilometers from Istanbul Ataturk International Airport. The underground station in Levent is just five minutes away and two big shopping centers, Kanyon and Metrocity, are just 15 minutes from the hotel. 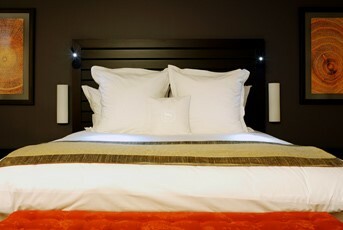 Calming colors and a relaxed atmosphere fill our guest rooms with warmth and comfort. 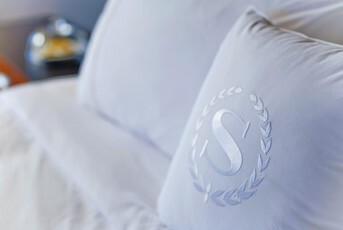 After a busy day, curl up in our Sheraton Sweet Sleeper(SM) Bed, with its plush mattress, crisp sheets, cozy duvet, and fluffy pillows. A generous work desk and High Speed Internet Access will keep you connected to the office or family back home. For an added touch of comfort, our Superior King rooms offer great city and sea views. Save time for relaxation and recharge at our 3,000-square meter H Club fitness center and spa. With a Turkish bath, sauna, whirlpool, squash court, Pilates, indoor swimming pool, massage and much more, you’ll find plenty of ways to ease away the day’s tensions. 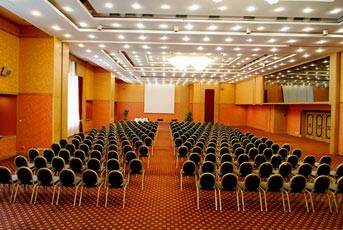 We will work with you to plan a great meeting or event in our more than 3,500 square meters of event space. Whether you’re hosting an intimate group of five or a grand event of 850, our 18 meeting and banquet rooms are the perfect place to bring everyone together. The latest audiovisual and meeting equipment available in all rooms will keep you connected and ensure your event’s success. Share memories to last a lifetime at Sheraton Istanbul Maslak Hotel. After a full day of exploration, let yourself relax in one of our guest rooms and suites. All rooms offer great conveniences such as the Sheraton Sweet Sleeper(SM) Bed, a flat screen TV, luxury bath amenities, and more. With a sleek ultra-modern decor, soothing colors, and calming textures, Superior rooms and Deluxe rooms provide a comfortable environment. 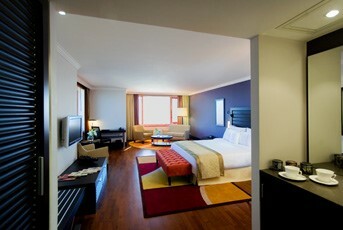 Club Superior rooms and Club Deluxe rooms are located between the 20th and 22nd floors with city and sea views. All rooms are designed to provide a unique atmosphere with silky furniture and extra amenities such as tea and coffee making facilities, bathrobes, and slippers. Junior, Business, Tower, Diplomatic, and Panorama suites are located between the 22nd and 25th floors with city and sea views. Suites consist of a living room with dining area for four, spacious bathroom with Jacuzzi, and a separate entrance which is connected to the bedroom via a sliding door. 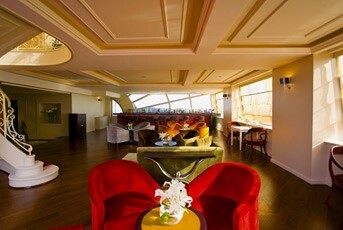 Located on the 24th floor, the 200-square meter Presidential Suite features beautiful views of the sea. It incorporates two bedrooms – one with a king, the other with a twin bed, a living room with elegant furniture, dining area for 12, spacious bathroom with a Jacuzzi, and a separate entrance. 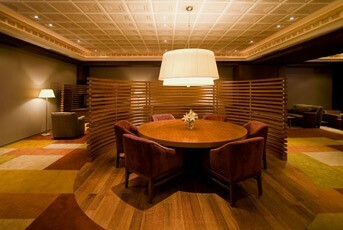 Guests on our Club floor and in our suites receive access to the private Executive Club Lounge on the 24th floor. After being welcomed at a separate reception area, you will enjoy breakfast every morning and tea, coffee, and snacks throughout the day. The lounge also offers lots of things to help you relax, from a flat screen Plasma TV to a movie corner with free popcorn, table games, newspapers, magazines, and a collection of best-selling books. A compact business center is also available. Club guests and suite guests will also enjoy a daily newspaper, butler service, complimentary pressing of one suit, complimentary shoe shine, and express check-in and checkout. Bring everyone together for good food and great conversation at our restaurants and bar. 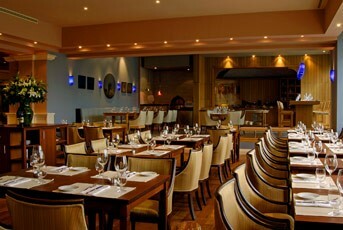 L'Altra Risacca Restaurant is an exuberant celebration of the best Italian food, wine, and lifestyle. The menu incorporates the finest and freshest seasonal produce, Italian cheeses, meat, game, and seafood, accented with fine Italian olive oils, traditional aceto balsamico, and many traditional ingredients that will surprise and delight. 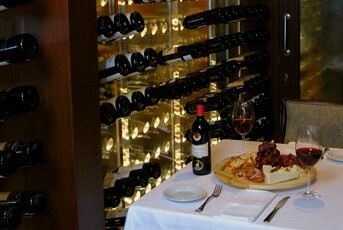 The wine list represents one of the most extensive and intelligent collections in the city. The Lobby offers an atmosphere low on pretension and high in relaxation. Enjoy its excellent selection of cigars, wines, and spirits in a natural environment. 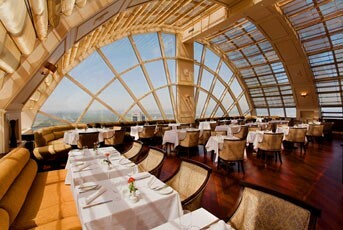 Sky Restaurant & Bar, located on the 26th and 27th floors, offers great views of the sea. Start the day at the breakfast buffet and dine all day from the casual á la carte menu. 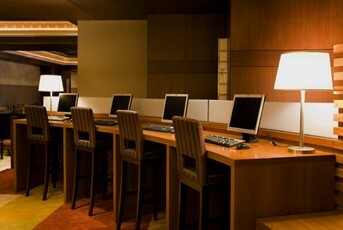 Complimentary weekday newspapers during the dinner hour will help you stay connected to the world. Private rooms are available for special occasions, meetings, and lunches. After a full day of business or sightseeing, visit our 3,000-square meter H Club fitness center and spa, located on the second floor. With a Turkish bath, sauna, solarium, whirlpool, squash court, table tennis, and indoor swimming pool, you’ll find plenty of ways to ease away the day’s tensions. Plus, enjoy fitness classes like Pilates, Aikido spinning, yoga, dance, and kickboxing. Work out with state-of-the-art aerobic equipment and body toning weights. Or head to one of the spa treatment rooms, where you can get a full-body massage and facial. Our unique spa philosophy offers a holistic approach to wellness, with treatments and facilities that provide the ideal combination of ancient Asian healing philosophies and modern Western techniques. We strive to use products with natural ingredients, selected for purity, potency, and proven therapeutic qualities. Combined they work in harmony to create effective products that work with your skin to deliver long-term benefits. The traditional Chinese foot massage, which helps relieve stress, is now available at our Liangzi Foot Massage Centre. From a five-course dinner in the private dining room to an elaborate gala in the ballroom, the Sheraton Istanbul Maslak Hotel looks forward to hosting your celebration. Our warm and friendly staff specializes in creating exceptional meetings and memorable events with the finest Istanbul service. 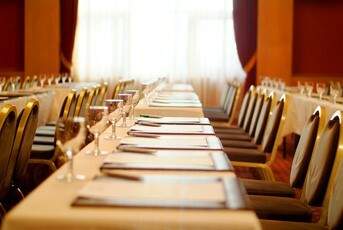 18 meeting and banquet rooms spread across more than 3,500 square meters are ready to welcome events of 5 - 850 guests. Stay connected to your office with our complete business center, which provides PC workstations, Internet access, office supplies, photocopy, fax, mail, and secretarial services. 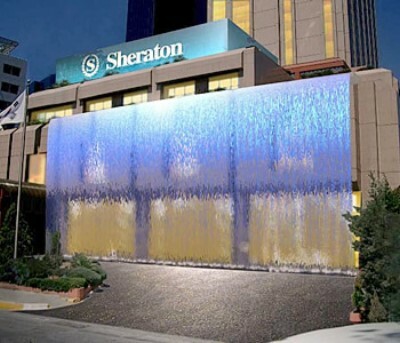 Our experienced Conference Service Managers will coordinate all of your event details and the dedicated Conference Concierge will assist with your needs while you are here.